Brunch is one of my favourite meals – what’s not to love, breakfast (my favourite meal) but just later in the day! And it isn’t taboo to have a drink with the meal that early in the day 🙂 So, when my friend M suggested brunch on the weekend, I couldn’t resist. 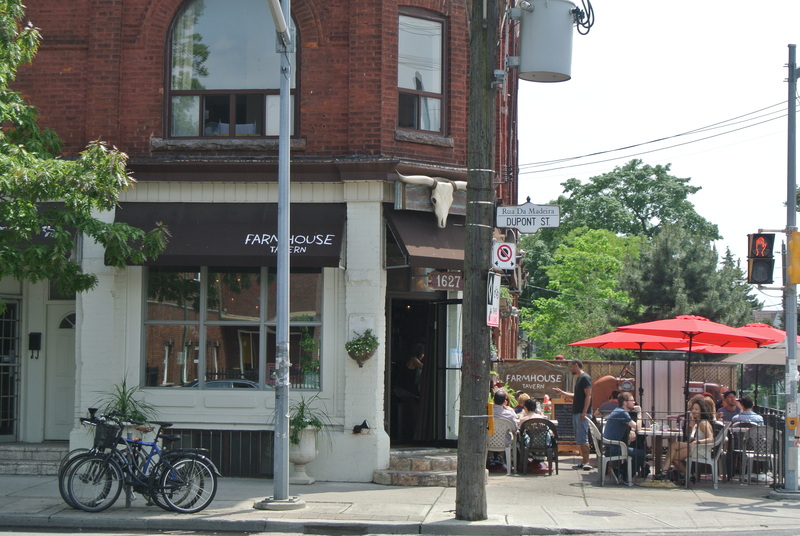 After doing some research, I recommended Farmhouse Tavern – it was on all the latest “Best Brunch Places in Toronto” lists. Located in an up and coming neighborhood called the Junction, the restaurant sits on a busy corner with lots of vehicle traffic. It was gorgeous outside so we decided to sit on the patio. 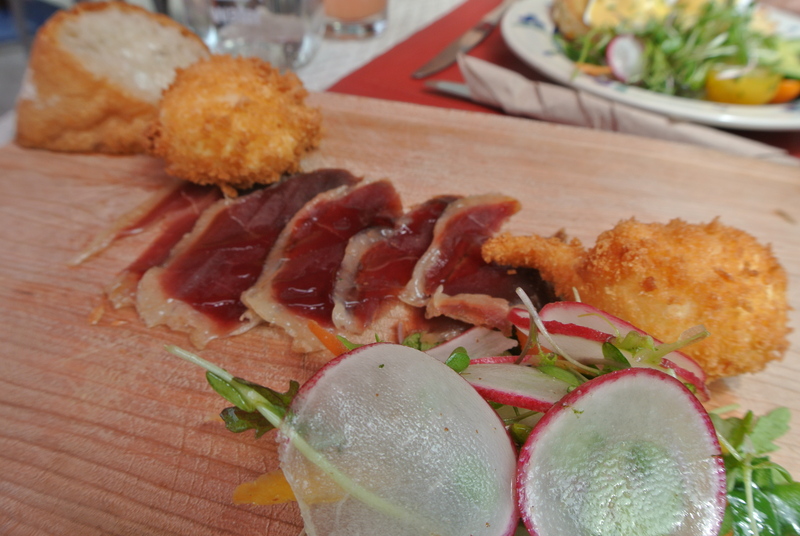 With the menu listed on a chalkboard, I chose a dish called Mother and Child Reunion. 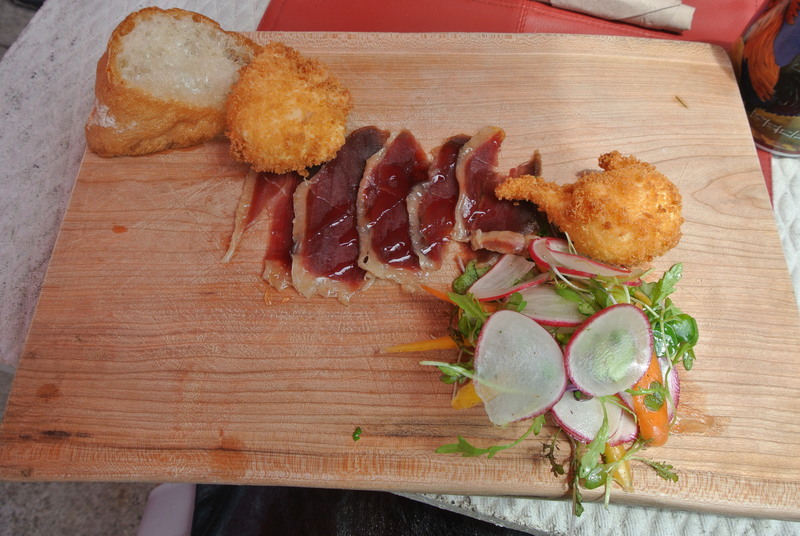 It takes a minute but I eventually got the pun – duck prosciutto (the mother) paired with deep fried, panko crusted poached duck eggs (the child)! 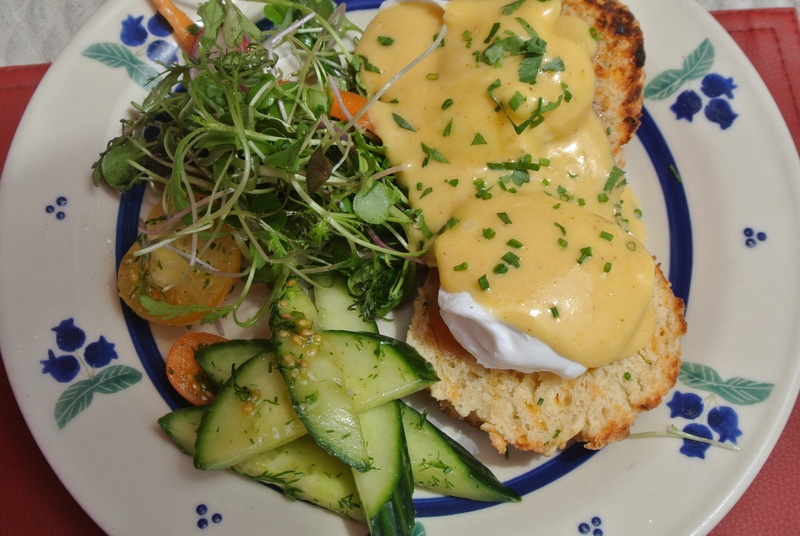 The best part was scooping up the runny yolks from the poached eggs with crusty bread – delish! 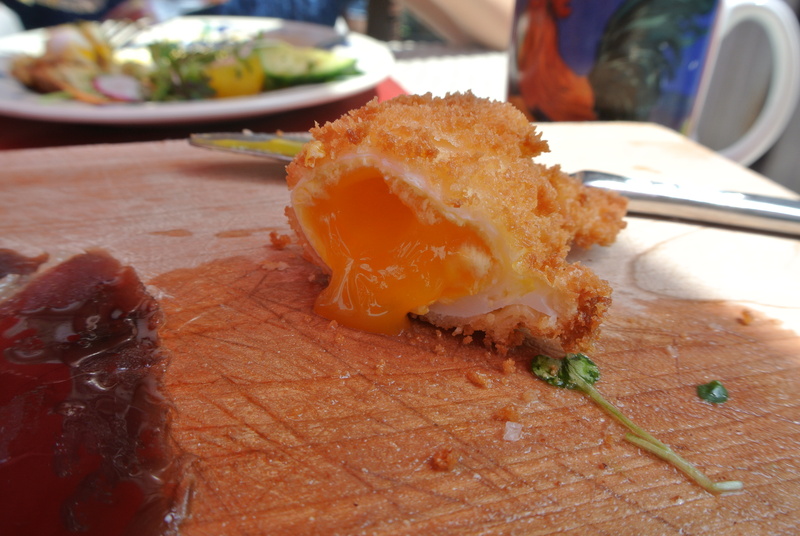 Just as the name suggests, expect a rustic vibe, country dishes and very simple plates – but the food speaks for itself!